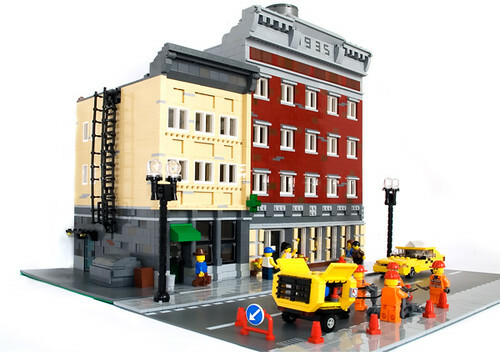 Brick Town Talk: In The Loop - LEGO Town, Architecture, Building Tips, Inspiration Ideas, and more! Chicago, Illinois - (BTT) The term "Chicago Style" may bring up visions of deep-dish pizza for some and well-dressed hot dogs for others, but for those who don't have food on the mind, it may also extend to the world of architecture. While finished a little late to officially be a part of the Chicago School, it had been "only" 27 years since the Cubs last won a World Series when these beauties were completed.